A day of fun and entertainment is being organised by Boston food producerFreshtime to raise money for charity on Saturday (23rd August). Members of the public are invited to enjoy an afternoon and evening of fun which Freshtime UK is organising to raise funds for its charity of the year, The Ally Cadence Trust for Spinal Muscular Atrophy (ACT for SMA). The fun day will feature a variety of activities that can be enjoyed by the whole family, including a fire breather, bouncy castle, games, adult and children’s football tournaments and a raffle. The event will take place at the Fishtoft Playing Field Pavilion near Boston from 1pm until late, and a licensed bar, a BBQ and live music will also be available on the day for guests to enjoy. Snack salad and vegetable specialist Freshtime adopted ACT for SMA as its charity of year in February. So far it’s managed to raise almost £14,000 from a mixture of fundraising activities including a charity golf day, a group climbing Mount Sowdon and staff participating in the Seabank Marathon. ACT for SMA was set up by Emma and Karl Humphries in 2009 after they lost their youngest daughter Ally Cadence to the condition aged just six months. 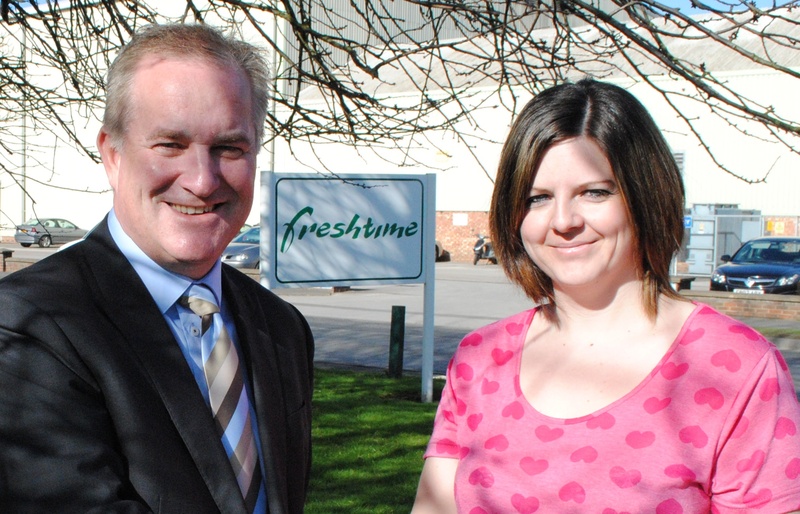 Mark Newton, Managing Director of Freshtime, said: “I feel it is very important for Freshtime to engage with the local community, and the fun day on Saturday is perfect way to do that. Admission to the fun day is free and all the profit made at the event will be donated to ACT for SMA.